Last month, I had the pleasure of attending the 3rd annual “Taste of Pelham” event held at the Pelham Civic Complex. 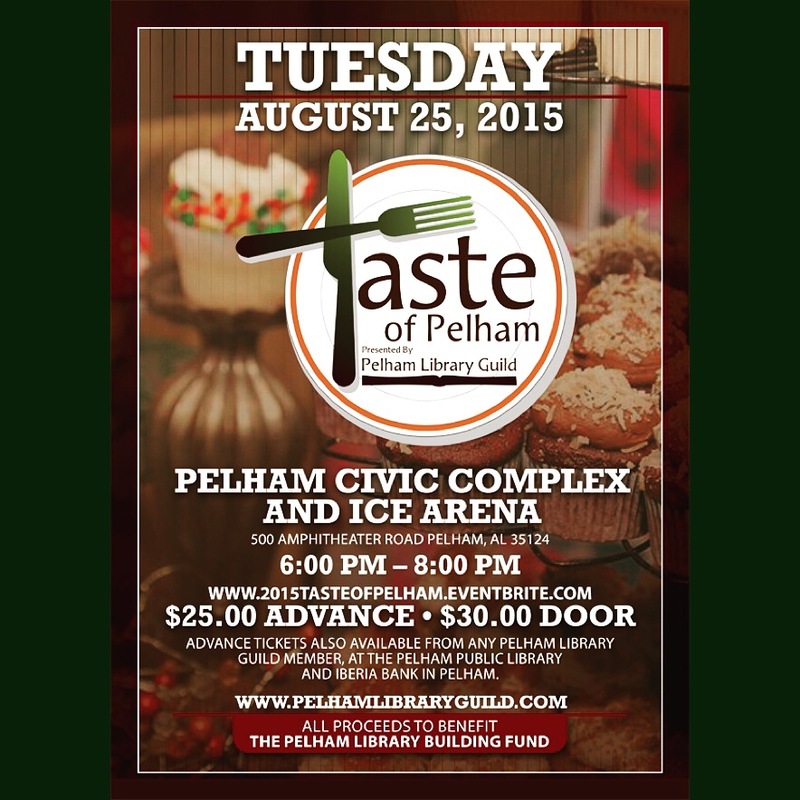 All of the proceeds from ticket sales will benefit the Pelham Library Building Fund. 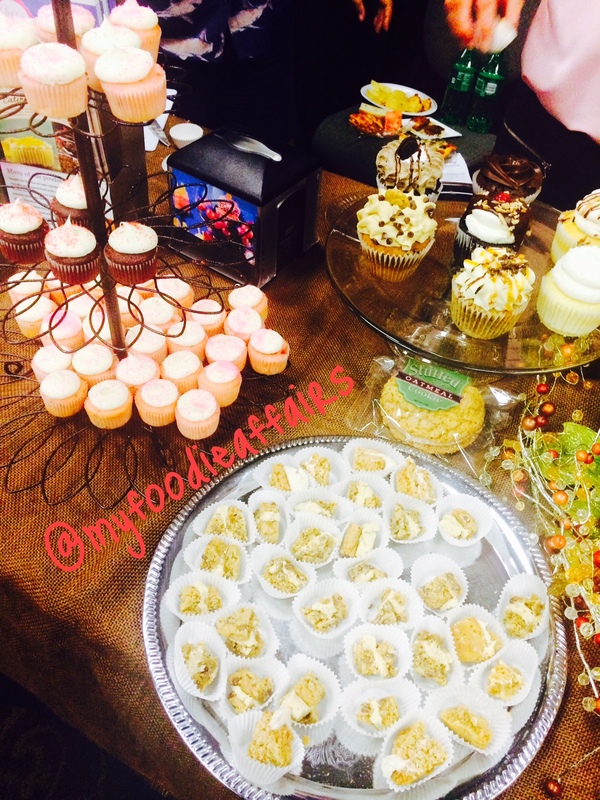 Since the inception of my blog, I’ve had the pleasure of attending several “foodie events” that highlight various locally owned restaurants. With over 25 vendors, I was extremely impressed with the overall turnout and execution of this event. 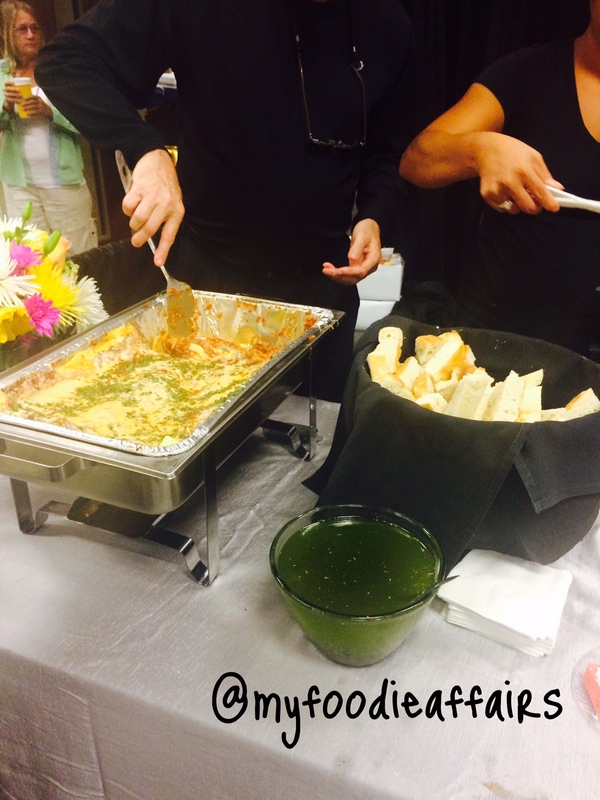 Most of the vendors provided a very “generous” sample of their featured dishes. I was stuffed after visiting only two of the tables! All of the vendors that I sampled were great, but the following are some of my most memorable and tasty dishes from the event. 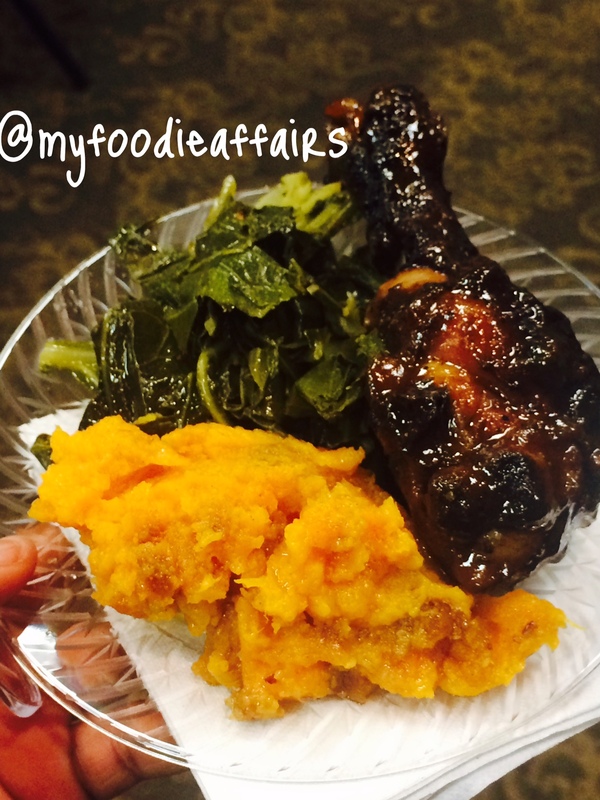 I happily obliged and indulged in BBQ jerk chicken, collard greens, and sweet potato soufflé (I’ll eat just about anything with a sweet potato involved!). These dishes were the perfect combination of Caribbean flavors with a touch of “soul”. 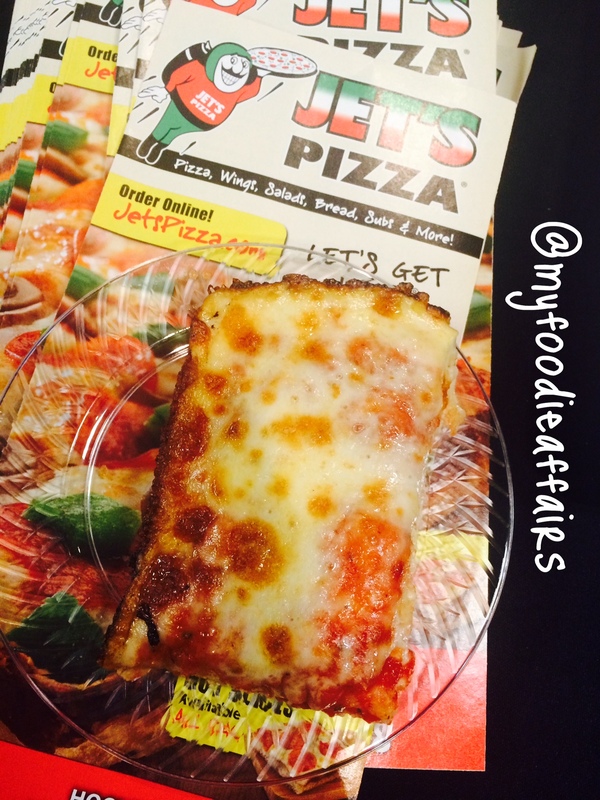 Jet’s Pizza – because well… PIZZA! Over the last couple of months, I’ve noticed an increase in the number of “pizza joints” in the city. I’ll be honest when I say, I’m looking for the extra in ordinary when it comes to trying out a new spot. After a while, they all begin to taste the same. What I love about Jet’s is that their food is prepared with the perfect amount of ingredients, cooked to perfection, and you don’t have to pay a ridiculous amount to receive quality food! (Is it me or is the price of a pizza pie (at certain places)becoming a bit… ABSURD! I was extremely impressed with the work of the students of the Pelham High Culinary Arts School. They offered a wide array of breads, cakes, and brownies… Being the “chocolate lover” that I am, I immediately went for the brownies. They were nothing short of amazing. Unless you’re under a rock somewhere, everyone should know about all of the goodness being served up by Gigi’s Cupcakes. I learned of Gigi’s Cupcakes during my brief stay in Huntsville, Alabama during my college years. 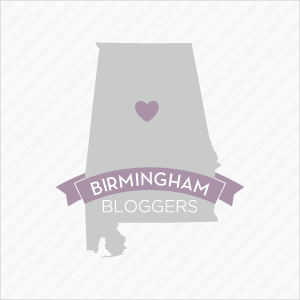 I was very happy when they decided to bring a new location to Birmingham. If you ever visit, you MUST try their very own oatmeal pie. Little Debbie who? You would think I’d had enough (food) by now… Well, I’m no quitter! I couldn’t leave the event without stopping by one of my favorite Italian Restaurants, Joe’s Italian. Though I’ve been to this place several times, I couldn’t pass up the opportunity to “sample” the lasagna and strawberry cake provided. 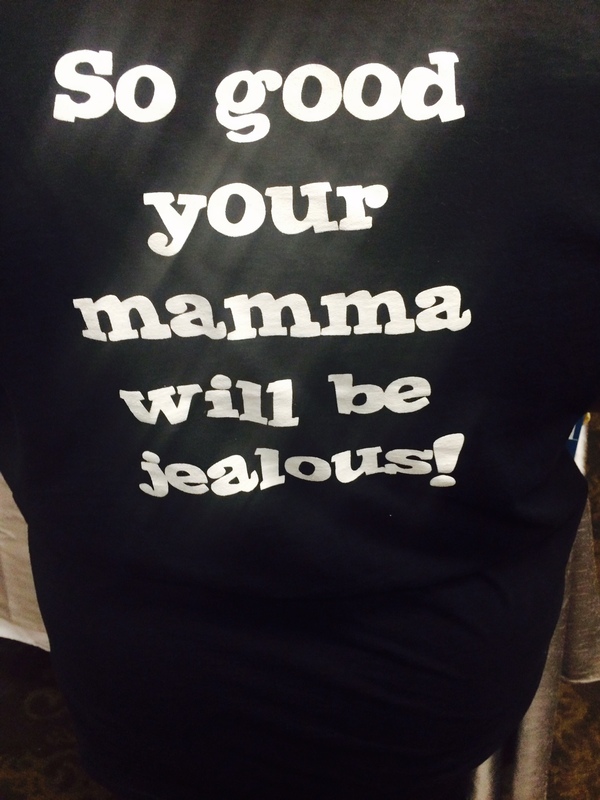 I think the owner’s t shirt gives the best synopsis of how much I enjoyed the eats! I concluded my evening and washed all of this delicious food down with white wine from Morgan Creek’s Vineyard provided by Town & Country Wine Distributors. Overall, I really enjoyed the event and am looking forward to next year’s Taste of Pelham. 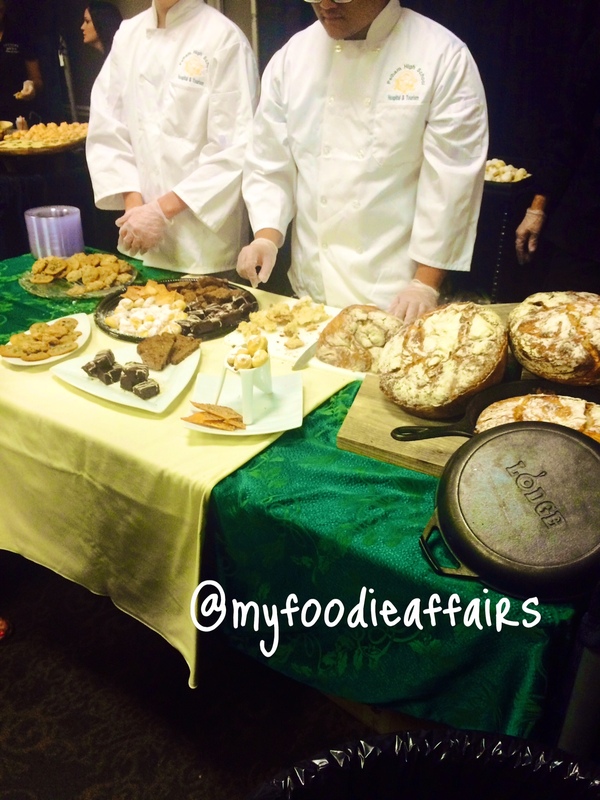 How can you not love an event with lots of food and all in the name of charity? Previous Post Food in Review Friday: Galley & Garden!